Big-profit practices? And the survey says . . .
Let’s be honest: Some grazing practices are better than others when it comes to impacting the bottom line. However, there isn’t always universal agreement as to which practices should hold the top spots on a “must do” list. At last week’s American Forage & Grassland Council’s (AFGC) Annual Conference in St. Louis, Mo., the results from a membership-wide survey were presented that aimed at getting a ranking of profitable (or unprofitable) grazing practices. 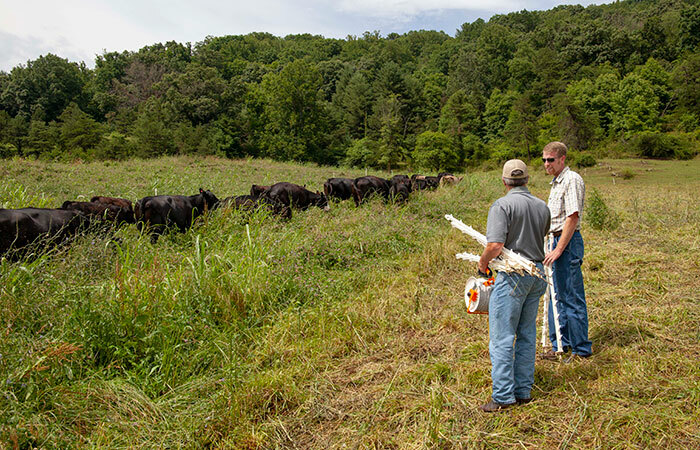 The survey was designed and analyzed by Dennis Hancock, University of Georgia Extension forage specialist and Scott Flynn, field scientist at Corteva Agriscience. The survey was initiated to provide decision-making guidance for the larger producer base, offer insights to the public sector for potential new research areas, and to provide government agencies information to aid in future funding decisions. The survey, which was sent to over 2,600 AFGC members, obtained a favorable 17 percent response rate that included 196 producers, 142 public sector workers, and 51 private sector employees. It should be noted that AFGC membership is largely east of the Mississippi River, especially in the mid-South and South. The majority of farm respondents were cattlemen, though producers of all major livestock types participated. For producers with nonfescue dominant pastures (n=51), “using complex mixes of forage species (greater than four)” made it into their top 10 while “rotational stocking” dropped to 11th place. For those with fescue-dominant pastures (n=62), “improved weed control” snuck into their top 10 ranking and “better hay storage methods” descended to 11th place. Producers who graze their livestock have been and will continue to put an emphasis on implementing some form of rotational grazing and, within that system, extend the number of grazing days during the year. This is being accomplished successfully by practices such as stockpiling or planting winter and/or summer annuals. Improved soil fertility also ranked high on the list of profitable, adopted practices. Soil testing easily made the top five list of every sector’s ranking. Once soil fertility reaches the point to meet production goals and a grazing “system” is in place, practices that improved pasture productivity also ranked very high. These included strategies such as establishing improved clovers and weed control.